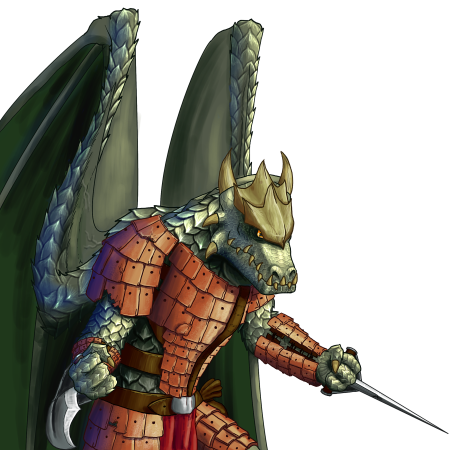 Drakes of the Fighter caste, like the Warrior, are the foundation of any tribe’s army. No special abilities or skills set them apart; only their natural brute strength and military training help them carve their way through enemy forces. They fight as they have for centuries, clad in ceramic-plated leather with the traditional war blade mounted on the back of each hand.